When it comes to towing a trailer there are several key aspects you need to follow and understand before towing a large trailer. 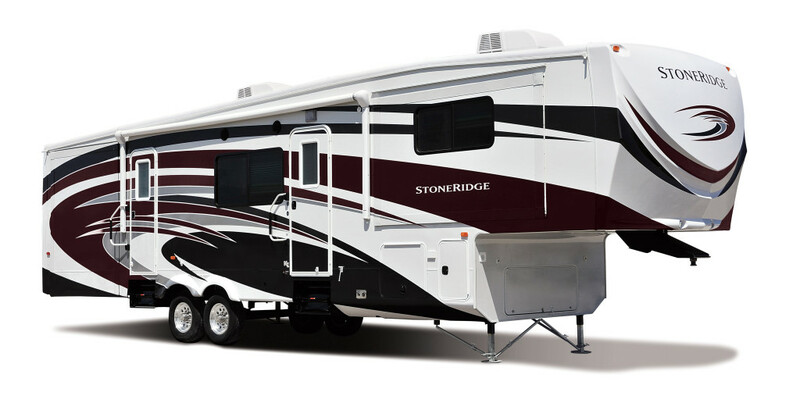 One of the most important tips is to make sure your truck can handle towing a large trailer or 5th wheel. 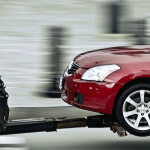 Towing is a very demanding activity and proper tires play a big part in being able to perform it safely. For most of us, the best bet is to visit one of your trusted local tire stores, who will have all the tire replacement and tire towing capacity figures right at his or her fingertips. They can recommend the best replacement tire (often several), which will meet your mission and budget requirements. Top 5 Best Tips on How to Safely Tow Your Trailer [Video]However, this is a complicated topic as there are exemptions for RV haulers and some regulations vary at a State level. Despite having the Gross Vehicle Weight Rating (GVWR) which is defined by the truck’s classification (midsize, half-ton, XD, or Heavy Duty), each truck configuration has its own max towing and max payload ratings. This most importantly depends on precise curb weight of the truck. Manufacturers specify all maximum weight ratings, including each Gross Axle Weight Rating (GAWR), but options of each individual truck determine its curb weight. The best way to find out the curb weight is to weigh the truck (and trailer) on a certified truck scale, which can be found at interstate truck stops or agricultural centers. This determines how much payload you have available (GVWR minus the curb weight), and maximum trailer weight you can move. Every trailer has its own GVWR, and this is generally determined by the trailer axle rating. Just like it’s a bad idea to overload the truck, it’s also a bad idea to overload the trailer. Axle bearing, spindle, or tires can fail if the vehicle is overloaded. 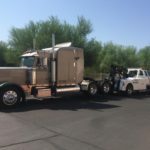 A towing job is not the best business to get into, especially since not every single towing job is met with smiling faces or with a ton of positivity in general. However, there are companies and service personnel out there who are doing what they can to make the entire ordeal less of a hassle for everyone who is involved. Today, policemen, towing companies, carriers, and even the car owners themselves are participating in a movement to improve the way the business of towing is perceived. Those who work in the towing business are also finding ways in order to make their jobs more secure, fast, and fair. These are definitely great strides in the industry. When you are towing a trailer or 5th wheel and things go wrong, that is usually when we get the call. Tire pressuring monitoring systems are standard equipment in many new vehicles today. Proper tire pressure reduces tire wear and improves fuel efficiency. So what – neither of those are safety issues, right? Everyone who has spent time on the road has seen shredded chunks of tire strewn across the asphalt, indicative of a catastrophic tire failure. This can happen to you, especially in a motorhome or large trailer. You’re cruising down the highway without a care in the world. But one of your tires has developed a slow leak. As you drive the tire pressure drops. The more the pressure drops, the more the tire flexes – as it rolls from the flat spot when it is under load, to it’s round shape when it is not (about 435 times every kilometre at 100 kph). Every time it flexes it generates heat and the tire gets hotter. If you’re driving on a hot day, at a faster speed, and/or under heavy load (sound familiar? ), the tires’ temperature rises more quickly. Every tire will shred into vulcanized strips of rubber carcass when they get hot enough. Remember the Firestone tire recall for Ford Explorers in 2000? Over 250 deaths and 3,000 serious injuries as a result of tread separation – usually at higher speeds, in hot climates and under heavy load. Firstly, the towing business has no national regulation. Basically, people follow the existing laws in a specific state, region, or town. There is no nationwide solution to towing problems. Problems in towing are usually just resolved by the people involved or with the use of the existing local rules, which can obviously vary depending on where you are in the country. One towing company may find it easy to do business in one state, but could find it difficult to do so in another. 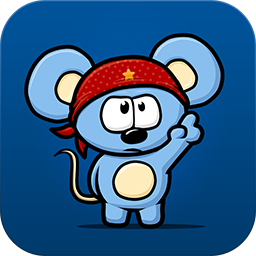 Secondly, there are difficulties that exist when it comes to building communication bridges with other people. 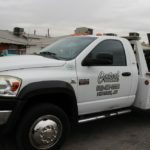 Towing companies have had a negative impression on people for many years, mainly due to the nature of their job and the attitudes that people have mainly associated with those in the towing industry. Most towing companies are even being labelled as irresponsible and corrupt, making it difficult for people to trust them.